Windows Security Log Event ID 4817 - Auditing settings on object were changed. 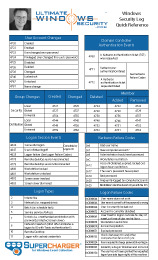 4817: Auditing settings on object were changed. We have not been able to produce this event. This event has the same title as Event 4907 although the fields are somewhat different.